It's maximum exposure for millions of people who are bearing the brunt of hazardous air quality, say experts. NEW DELHI: Air purifiers for the affluent, masks for the not so rich and inhaling polluted air all day -- without literally a breather -- for those who can't afford a roof over their heads. As the air quality index (AQI) hovers between "very poor" and "severe", slipping into "poor" on better days, the toxic air and hazy skies over the Delhi-NCR region and other parts of India are driving one more wedge between the haves and the have-nots, leaving those forced to live and work in the outdoors vulnerable to pulmonary and other diseases. 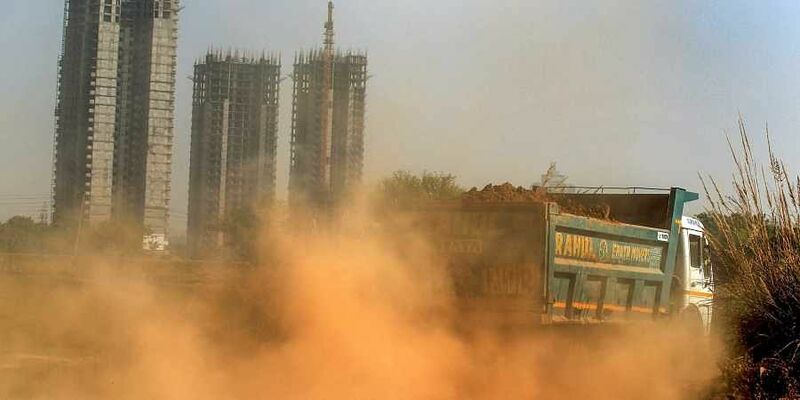 "The class bias is evident when the pollution level peaks," said Sunita Narain, who heads the Centre for Science and Environment (CSE) and is a member of the Supreme Court-appointed Environment Pollution (Prevention & Control). "We can fight pollution only when authorities think about both rich and poor and both join hands in this fight to protect the environment, otherwise the rich can roam in diesel vehicles and use purifiers to protect themselves but the poor face more exposure and do not even have money for treatment," Narain told PTI. Rickshaw pullers and construction workers are the worst hit. And 19-year-old Shyam, who recently moved from Darbhanga in Bihar to Delhi to become a rickshaw puller, is proof that pollution hits us all, but some more than others. "I am saving money for a computer course but my health has been poor for the last one month," said the youngster, adding that he had spent all his savings in getting treatment for a recent respiratory infection. "We can't afford the hi-fi masks that we often see our passengers wear," Shyam said with a wry laugh. These day, he said, he feels he pedals with a weight on his chest. The rickshaw is home for Shyam. Rupak, who came to Delhi from Rourkela 30 years ago, escapes into his humble home in east Delhi's Trilokpuri area at night but his fragile health is evidence of the long hours spent outdoors. The 49-year-old boasts that he could not so long ago ride his rickshaw faster than most autos. But it is that time of the year when he slows down, not because of his age but because of the alarming pollution. "It becomes difficult to breathe if I ride faster and my eyes burn. On normal days, I earn up to Rs 500 per day. But in the winter months, I manage to earn just Rs 300-350 per day," Rupak said. "There were days when I had to go without food, but this exposure to toxic smog is the worst," he added. Some reports estimate there are 700,000 cycle rickshaws plying on Delhi roads. Then there are construction workers, who not only face prolonged exposure to toxic air but also lose their means of livelihood when the government bans construction activities when pollution levels peak. Radha, 35, has worked at various sites of city for the past 15 years and jokes that she has a contribution in building this city. "On some good days I manage to earn as much as Rs 600 per day, We are the first ones to lose our work when pollution in the city increases." "This year, we were not allowed to work for 12 days in November which made it difficult to support ourselves," she said. Now, when the work has resumed, a wracking cough has stopped her from putting in a full day's work. Faiz, who is working alongside Radha at a construction site in Greater Noida, said the job might just kill them all. "We see various government advisories telling people to stay indoors and wear masks when stepping outside but we don't have that luxury. We have to work for 12 hours in this pollution which I feel ultimately kill us," Faiz said. Though there are no exact figures available for the impact on pollution on those who work and live outdoors, there is enough anecdotal evidence. According to Shahid Khan, a doctor at a Patparganj mohalla clinic, the number of people complaining of difficulty in breathing and burning of eyes increases exponentially when the pollution level peaks. "There is specially a rise in the number of construction workers, rickshaw pullers and hawkers who face continuous exposure to toxic air," Khan said. S Chakrabarti, a doctor at the Safdarjung Hospital, added that prolonged manual work while breathing polluted air can lead to diseases like chronic bronchitis, asthma, respiratory infection and chronic obstructive pulmonary disease (COPD). Routine exposure to PM2.5 pollutants can lead to diseases like cancer and increases chances of stroke. It is important to make people understand that pollution is not an "elite" problem as some political parties are making it out to be, said Jyoti Pande Lavakare, co-founder, Care for Air NGO. "In fact, it's just the opposite. The rich have easy access to masks and purifiers besides common protections of home and clean energy options," said Lavakare. "Like with any other inequity, it is our poor, our sick, our children and elderly who bear the worst brunt of air pollution. The poor are the worst affected Rickshaw pullers, auto rickshaw drivers, even our traffic policemen, are the worst sufferers, in the first line of assault of dirty, toxic air," she said.